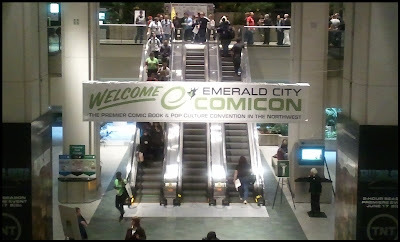 After spending three days at the 2013 Emerald City Comicon, I was left with some really cool memories and lots of photos. After each day, I created a blog post that featured pictures of people in their crazy cool costumes as well as quotes, pictures, and videos from the celebrity guests that were at the event and lots of other fun stuff. This post is basically a way for you to access everything from one spot without searching farther back on my blog for each individual post.